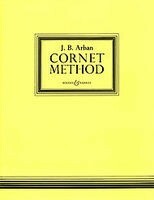 Arban's fundamental method book for trumpet was first published in 1864 and has held a top spot in trumpet studies ever since. In 1936, two of the finest trombonists of the day, Charles Randall and Simone Mantia, revised the method for trombone, creating the basis for trombone studies over the ensuing 75 years. 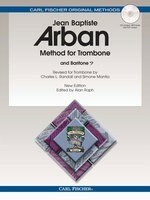 Today, Alan Raph brings the Arban into the 21stcentury, enhancing and expanding the complete Arban text, and addressin g new skills and techniques developed up to current times. Sections havebeen expanded (i.e., scales, arpeggios), and new sections have been add ed (i.e., slide drills, contemporary forms of double and triple tonguing). Alternate positions have been updated and expanded. Sometimes F-attachment positions are given to facilitate awkward slide movements. Raph's exceptional edition also includes a CD of MP3 accompaniments to the 12 Celebrated Fantaisies and Airs Variés, as performed by John Walker, for acomplete instructional package for trombone students.